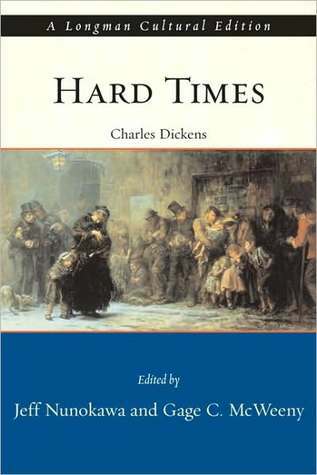 My historical fiction/history book group chose Hard Times by Charles Dickens for its next meeting. Having never read Dickens, and feeling that this omission should be remedied, I was pleased by the choice. As an added bonus, I am able to count this for my 19th century choice for the Back-to-the-Classics Challenge. Hard Times follows the rather bleak life story of Louisa Gradgrind, inhabitant of the poor/working-class milltown, Coketown. Louisa was not a member of the working class. She had the (?even worse?) misfortune of being born into the family of a Mr. Thomas Gradgrind, a teacher, and a proponent of the school of "facts." He had his children (primarily the two eldest, Louisa and Tom) brought up in a way that admitted no "wondering," no imagination, no play. They are taught a philosophy of rational self-interest. Thomas Gradgrind was eventually called away to Parliament and had less influence over the lives of his younger children, but Louisa and Tom were doomed to miserable childhoods and unhappy futures. Gradgrind also brought into his house one Sissy Jupe, the abandoned daughter of a wandering circus performer. She was supposed to be educated in the same fashion, but Sissy was too resilient – meaning he got to her too late. She had already developed a compassionate heart. Louisa grew to be a pretty young woman and so she was snatched up by a friend of her father’s. The friend, Mr. Bounderby, was a blustering braggart, a self-professed self-made man, owner of a factory and the local bank. Louisa saw no option to marrying him. She hated him, but her brother Tom wanted the marriage. Tom, the only person Louisa truly cared about, had gone into service with Bounderby. He knew he would be getting into scrapes and he relied on Louisa’s influence with Bounderby to get him out of them. Other characters are introduced: a gentlewoman fallen into poverty who works for Bounderby and spies on Louisa, a bored dissolute young gentleman who, having nothing better to do with himself than enter politics, comes to Coketown and falls in with Bounderby. He is taken with Louisa and sets himself the challenge of seducing her. There is also an upright, honest working-class man, Stephen Blackpool, as well as the generous, kind woman he loves, Rachel. Hard Times takes a good long while introducing the characters and setting the stage for the plot. The characters (or caricatures) are fairly exaggerated representations of types. Dickens has a point to make and he wants to be absolutely certain the reader cannot miss it (although he buries Stephen Blackpool’s impassioned speeches in some painful-to-sort-through dialect. I took away the gist of what Stephen was saying but I had to start skimming over Stephen’s part of the dialogues to preserve my sanity.) About 3/4 of the way through the book, the plot-lines begin to come together and, finally, tension begins to build. There are unexpected twists, some poignant, some farcical. And the book hammers home its message. This is Dickens’s 10th novel and it is supposedly his shortest. My reaction is...mixed. There isn’t much in the way of actual story and what story is there is melodramatic. But the book is very carefully constructed, not so much for the plot itself, but for the way it is told. The characters represent what was wrong in society and what was right, and how people’s view of that right and wrong was often upside down. It was surprising (or maybe not) how much of the social commentary could be lifted out of 19th century England and superimposed on society today. I think I went into the book expecting to be more entertained than preached to, and if my expectations had been more appropriate I would have better appreciated the book. As a political text, this is a remarkable piece of commentary that still speaks to us today. As a novel...well... it’s interesting political commentary. Thanks to everyone who joined in this hop - what a lot of fun! I discovered some great new blogs. And thanks to all my followers, new and old, for taking part. 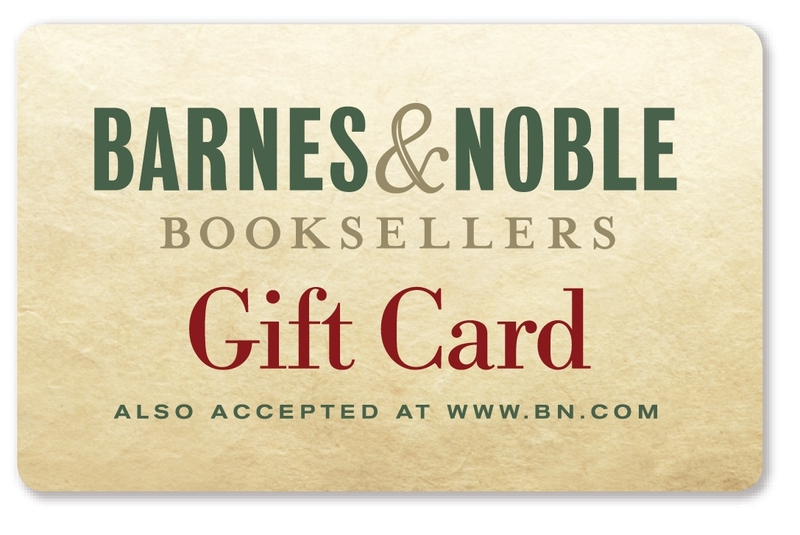 The winner of the $25 Barnes & Noble gift card (chosen using random.org) is Brenda D. I'll send you an email. If I haven't heard from you by next Friday, I'll have to choose another winner. Here’s an opinion I’ll share that isn’t particularly earthshaking, but I’ll throw it out there to see if anyone feels strongly about it one way or another: Plays are much better to watch than read. I don’t read very many plays. 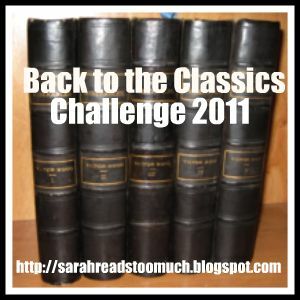 And yet, when it came to choosing one for the Back to the Classics Challenge, I was excited. I know there are a lot of great plays out there that I may never have the chance to see. I finally settled on Arthur Miller’s Pulitzer Prize winner from1949, Death of a Salesman. I like Arthur Miller. I’ve read and seen The Crucible. I watched All My Sons. They are both powerful if emotionally difficult plays. I had high expectations for Death of a Salesman. The edition I read (The Viking Critical Library edited by Gerald Weales) came loaded with extra reviews and criticisms, some of which I skimmed, but mainly I concentrated on the text. It is the end of the road for Willy Loman, a traveling salesman, who can no longer sell. He has two grown boys. The older, "Biff," has just returned home from a ranching job in Texas. Biff is in his mid-thirties and is still "finding himself." Biff was a golden boy, a football star, right up through high school, and Willy had high hopes for him. He’s still Willy’s favorite. So it drives Willy batty to see Biff so unmoored. Also at home, although he apparently has an apartment elsewhere, is the younger son, "Happy." Happy idolizes Biff and is desperate for Willy’s attention/approval. He’s always been second best, although now he’s the one following in his father’s footsteps. Both boys are testosterone-fueled womanizers. They enjoy boasting to each other about all the women they’ve had and how many more they will have. The only worthwhile woman (and eventually they’ll find one just like her) is their mom. Their mother, Linda, supports Willy in whatever he says or does, boosts his fragile ego, and does the same for the boys unless they are doing something to knock down their father. Willy is at a particularly fragile crossroads. The life he has built for himself - that of successful salesman, father of sons who will be even more successful salesman– is clearly not working out for him. He claims that the important thing is to be well liked, and that will always open doors. (Nothing else is important - not doing well in school, not honesty or personal integrity - only being well liked.) But he is such an icky person, and his sons are such icky people, that it’s hard to imagine any of them being liked at all. Willy is delusional. The more the play goes on, the more truly delusional (or is he supposed to be suffering from dementia?) you see that he is. The play does raise questions about Willy. Was he ever any good or was he always mediocre, chasing a dream he would never obtain? How significant, really, was the "shocking" revelation that caused the rift between Willy and Biff? At times, Willy thinks that this one episode is what made Biff give up on life, and he alternates between blaming himself and refusing the responsibility. But really, that one experience, as awful as it was, was only one small part of the terrible parenting by Willy. And I’m not sure that simple bad parenting is enough of an excuse for what unpleasant men the boys turn out to be. So here’s the thing. I imagine watching the play would have made it a lot more compelling. (There is a lot of drifting back and forth in time that would have been easier to visualize if it was separated into the compartments the way the stage directions indicated the scenes should be.) I could have better appreciated the pathos, maybe pitied Willy more for the way he tried to cover for his failures by blustering and lying, particularly to make himself look bigger in front of his boys. Willy is now not the man he once was, so the volatile, blustering, confused, pathetic character cannot be judged to be the real Willy. (But the Willy of his memory is no more likeable to my mind.) Maybe watching Biff and Happy interact would have been more comical or even poignant than off-putting. But reading it...I found the characters annoying. Except for the wife/mom. She deserved better. Anyway, I’m glad to have read the play so that I have a better understanding of this piece of Americana. Some day I hope to have a chance to see a good production of the play to see how my appreciation of it differs when the characters are alive in front of me rather than flat on the page. It feels like it’s been a long time since I’ve picked up a YA historical novel to relax and enjoy myself. So, this weekend, I borrowed a book from my daughter’s shelf: I was Jane Austen’s Best Friend by Cora Harrison. This book combines a bit of fictional biography of the young Jane Austen with a YA romance. Jenny Cooper is Jane Austen’s orphaned cousin. After heroically coming to the rescue when Jane was desperately ill at boarding school, Jenny is invited to stay with the Austens at their home in the country. There Jenny is surrounded by Jane’s large family (six brothers and a sister), not to mention all her father’s pupils. 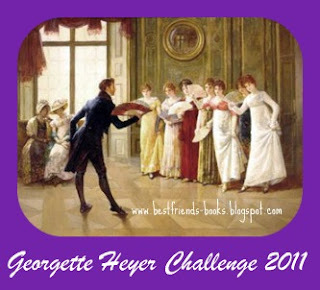 The shy, sixteen-year-old Jenny finds the Austens lively, fun, and a little overwhelming. There is always something happening, and Jenny’s life opens up to more laughter, teasing, and friendship than she’d ever known before. She also learns a thing or two about flirting – a brand new experience for her. But of course, at this age, romance - meaning true love - is foremost in her thoughts. Young Jane Austen is a steadfast friend and her outspokenness and confidence are the perfect complement to Jenny’s reticence, while Jenny’s common sense balances Jane’s impulsiveness. The story does a very nice job of imagining Jane’s teenage years and her early striving to be a writer. Jenny was a lovely character to root for – far stronger than she gave herself credit for being. It was delightful watching her grow in confidence. The hero is sweet, making for a charming love story. I haven’t studied Jane Austen’s life in any detail, but Cora Harrison has. By report, this book was extensively researched and is based on much that is true from Jane’s early life. So now I’m more interested in digging into Austen’s biography. So much for a nice relaxing read. Now I have more work to do! January has been a good month for historical fiction. I'm moving right along in the historical fiction challenge hosted by Historical Tapestry. Well, I started off the year with a plan. It wasn’t carved in stone, but I did think I would read more than 2 of my intended books before getting sidetracked. Instead, after Olive Kitteridge and The Autobiography of Mrs. Tom Thumb, rather than continuing to tackle my enormous pile of previously purchased books, I went to the library for one that was not even on my TBR list. But I had a good reason! 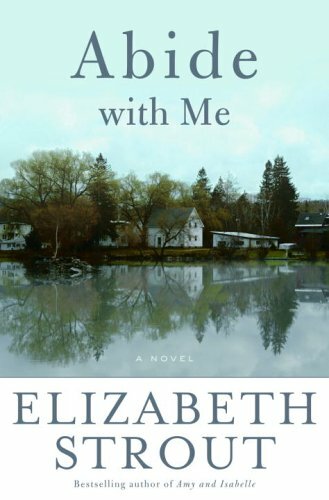 A fellow blogger, Sherry from Semicolon, commented on my Olive Kitteridge post with a recommendation to read Abide with Me by Elizabeth Strout. (Her review can be found here.) I thought Olive Kitteridge was an amazing book, so I intended to read more of Strout’s work eventually. But Sherry’s review really grabbed me. I went ahead and requested it from the library and it came in only a couple days later. So, I settled in for the read. Skillfully employing an omniscient narrator, Strout takes us inside this close-knit New England community and opens it up to us, warts and all. The book focuses primarily on Tyler Caskey, a young pastor who came to be minister to the small congregation as his first job out of seminary. He is warm and affable, a man who loves to preach and who is sincere in his calling. Most of the town takes to him immediately. The only fly in the ointment is his beautiful young wife, who does not adjust well to the role of minister’s wife, but we learn about that in due course. As the book opens, the wife is about a year dead; Tyler is a widower. His youngest daughter is being brought up by his mother in a different town. His older daughter has just begun kindergarten and is emotionally troubled – she’s causing problems at school. These problems start a ripple effect throughout the community, threatening the way Tyler views his flock, his role there, and himself. The book moves back and forth in time and takes us deep into the psyches of several of the townspeople, as well as exploring the thoughts of Tyler’s five-year-old daughter Katherine. We see how much harm people can do by pettiness and gossip. And we see how far even a little kindness can go. We see faith tested and restored. 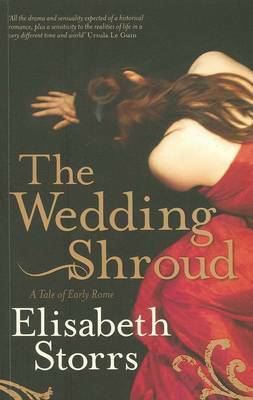 Once again, Elizabeth Strouth does a superb job of presenting fictional characters as real human beings. Their flaws are so glaring because they are so ordinary and believable. The ordinariness of their strengths is what makes the book reassuring. It’s a beautiful book, and I’m glad I took the detour to read it. This is book number two for the historical fiction challenge hosted by Historical Tapestry. 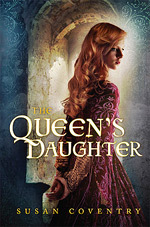 It's interesting for me to read a book set in such recent history compared to the historical fiction I generally read. There are very obvious differences between the time period of the book and now, and yet, compared to medieval fiction, the book is practically contemporary. When do you think historical fiction stops and contemporary begins? 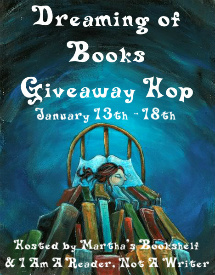 This week I'm participating in my first giveaway hop. 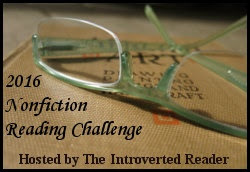 Co-hosted by Inspired Kathy at I'm a Reader Not a Writer, and Martha and Martha's Bookshelf this hop features over two hundred bloggers all with different book related giveaways. For my own giveaway (US entrants only this time), rather than pick one of my favorite books to give away (what would it be? 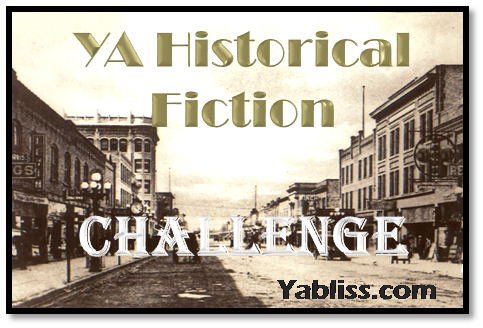 Historical fiction, YA, a classic from the challenge? Too many choices!) 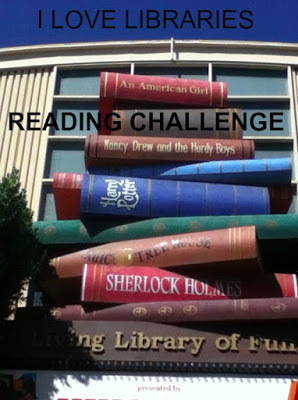 I decided to let the winner choose what to read. So my prize will be a $25.00 Barnes and Noble gift card. To enter, leave a comment with an email address. GFC Followers (new or old) get one extra entry (+1), but please let me know in the comment that you're a follower. Don't forget to visit the other blogs in the hop and check out their giveaways! Melanie Benjamin has chosen a wonderful protagonist for her latest historical novel, The Autobiography of Mrs. Tom Thumb. Mercy Lavinia Warren Bump, or "Vinnie," never grew taller than two feet, eight inches, but she was, according to newspaper accounts and to her own recollections, perfectly proportioned, graceful, intelligent, and lovely. She was born in 1841 and grew up on the family farm in a small Massachusetts town. Although loved and pampered by her large family, she (and her younger sister, Minnie, who was similarly affected) were nevertheless a source of embarrassment to them. No one knew what to do with the girls, except to protect them from a world much too big for them. But Vinnie, perhaps as a result of her lively intelligence, refused to settle for a life confined to the farm. She was curious to discover what lay beyond. This pre-Civil War era was a time when people with unusual medical conditions were either hidden away or were displayed as sideshow freaks. One man, P.T. Barnum, had demonstrated a remarkable success at marketing oddities of all kinds. One of his most memorable triumphs was Tom Thumb, or General Tom Thumb, a boy with a condition similar to Vinnie’s own. He had grown-up under Barnum’s employ and garnered fame as an entertainer because of his diminutive size. It was no surprise that others should try to mimic their success, or that Vinnie’s parents would be against the idea of having their children displayed and exploited. A second-rate showman who owned a riverboat touring company appeared at Vinnie’s home one day, claiming to be a distant cousin. Over her parents’ objections, Vinnie signed on to join his tour. This was her first taste of the entertainment business and despite the shoddiness of his operation and her harrowing escapes from a few nasty enterprises, there was no looking back for Vinnie. What she learned was that she needed a higher class of employer. Vinnie’s life story takes a turn when she finally meets Barnum, who puts her in contact with Charles Stratton, the man she had heard of as General Tom Thumb. Together, the three begin a lucrative, whirlwind, worldwide, burst of showmanship. Everyone loved Tom Thumb and his wife. While the Civil War raged, the famous couple even knocked news of battles off the front page. This is a fascinating tale of a woman who refused to be bound by her physical limitations, and yet who drew boundaries around herself that were even more limiting. Although she hated to be defined by her size, the successful attainment of her huge ambitions depended upon the fact that she was tiny. I enjoyed this story for the narrative’s sake, but I also found it interesting as a book that managed to encompass the Civil War in the US and barely mention the war. Two of Vinnie’s brothers fought for the Union, and yet she thinks of it only in passing, visiting a brother once because her work brings her near. I tend to picture the war as having been so horrific, so huge, so all encompassing, that life didn’t go on during it, which is a ridiculous way to think. Of course people were still concerned with fashion. People were still going out to entertainments. People were still worried about their finances. Vinnie was trying to build her career. She was a self-centered person. She had more important things to think about than the war. I love the way this book shows glimpses of all these other things that were going on at the time. 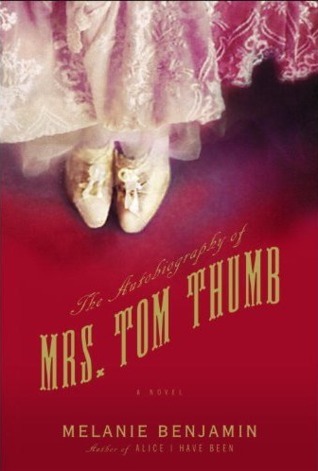 This is a lovely piece of historical fiction and it’s great that Melanie Benjamin has given Mrs. Tom Thumb a place in the spotlight once again! 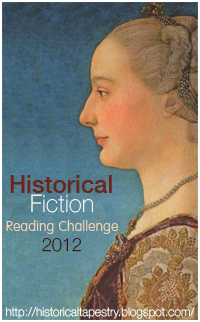 I almost forgot- This is my first book read for the Historical Fiction Challenge - 2012. Join in and enjoy some great books! 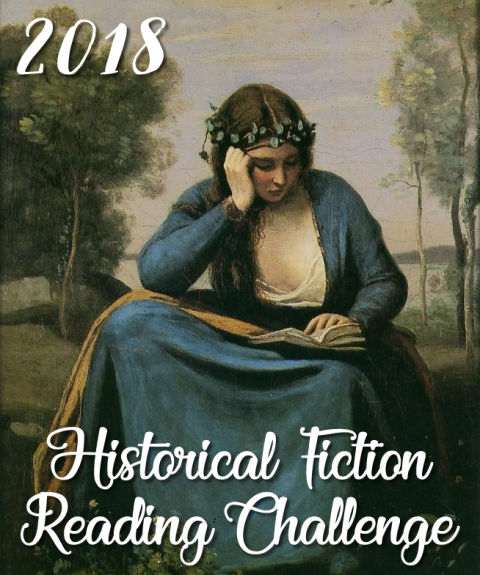 This monthly blog hop is open to blogs that primarily feature book reviews of literary fiction, classic literature, and general literary discussion. Do you like to supplement your reading with outside sources, like Sparknotes, academic articles, or other bloggers' reviews? Why or why not? My wishy-washy answer is -- sometimes. Sometimes I've been inspired to read a literary work by an outside source -- a review or discussion article. Other times I'll read a book from "the canon" that is on my list of books I must read before I die. And then what happens depends on the book. If I'm moved to go beyond and learn more, I'll dig deeper, either because I loved it so much and wanted to be part of the community of people who appreciated it. Or, because I just didn't get it and wanted to see what I had missed. But with some books I just enjoy the story and the writing and then move on to the next. For some reason, right around the holidays, I always seem to read a book (or books) that pack an emotional wallop. Maybe it’s because I usually have a couple days off work so I feel I can tackle something engrossing. Maybe with all the holiday cheer I feel armed against depressing fiction. 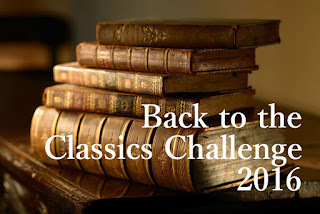 This year, I picked up my Back to the Classics award winner – Olive Kitteridge by Elizabeth Strout. This book won the Pulitzer Prize for fiction in 2008. I bought the book soon after, and it has been sitting on my shelf ever since. 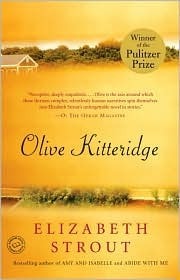 Olive Kitteridge is not a novel, not exactly. It’s a collection of short stories centered around Olive and her family and friends, solid New Englanders, inhabitants of a small town somewhere in coastal Maine. Olive is middle-aged to elderly over the course of the book. A retired school teacher, she is not the main character in most of the stories, but somehow or another, she figures into them all. We see her from many different points of view, and eventually we get a very good picture of the woman. She is exceptionally three-dimensional. (I know that doesn't actually make sense, but it will if you read the book.) In some of the stories she is hard and unlikeable and in others, achingly vulnerable. Remarkably, in these short stories, you not only end up feeling that you know Olive inside and out, but you also become very well acquainted with a fair number of her acquaintances. The insights into human nature (as demonstrated in the examples of the friends and family) are that good. The writing is Pulitzer Prize caliber. Every detail is perfect. Every interaction is exquisite. Strout is able to capture a wide spectrum of interpersonal relationships in all their joy, pain, confusion, love, and inevitable loss. The book was, at the same time, emotionally draining and emotionally rewarding. 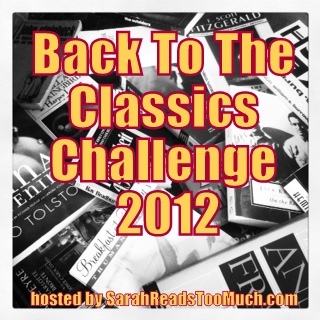 So my Back to the Classics Challenge is off to a wonderful start. I can’t recommend this book highly enough! Sarah at Sarah Reads Too Much will be hosting the Back to the Classics challenge again this year. Check out her post for rules and to sign up. Here are the books I've chosen to read, along with links to reviews once (if) I've reviewed them. Happy New Year to all. Onward to 2012!